From the looks of that towel left for drying on the window sill, somebody actually lives in that house. 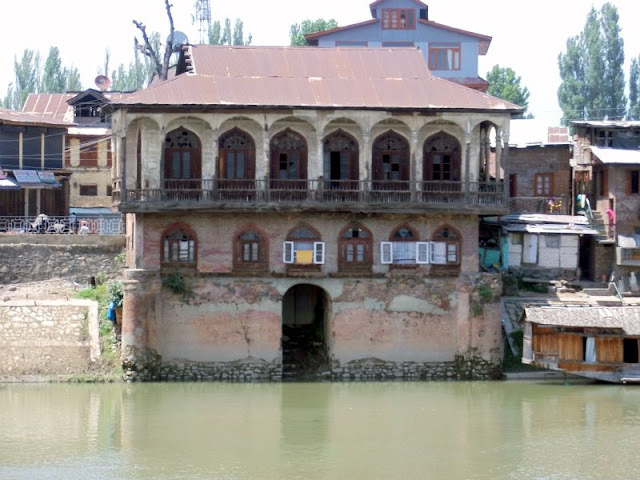 Update: The place is known as Aabi Guzar. Apparently at this place people used to pay taxes for using the water ways. 2010. Drawn by H.R. 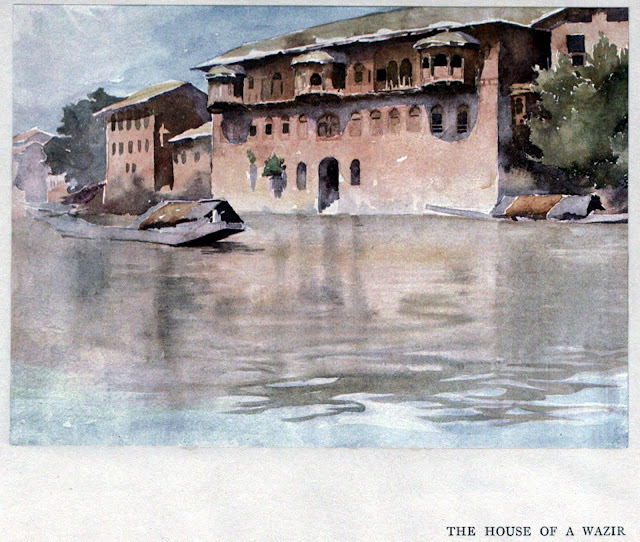 Pirie for P. Pirie's 'Kashmir; the land of streams and solitudes' (1908). Please inform about the location of this photograph,of course it somewhere on the banks of Vitasta or what is also known as Jhelum,but where? It's near band going towards Biscoe, taken from across the bank. Got destroyed in flood of September 2014.